Help an Artist and Get Cool Stuff! WOOT! If you’ve been paying attention (and I know you have, because that’s just the kind of splendiforous dears you are), you know that I belong to a non-profit organization designed to support artists to support the arts. The goal is to pay artists for the time they spend putting beautiful, wonderful, silly, and cramazing things into the world — so that they can continue putting beautiful, wonderful, silly, and cramazing things into the world. The artists get resources and the means with which to live, and communities all over the world get fantabulous works of art. 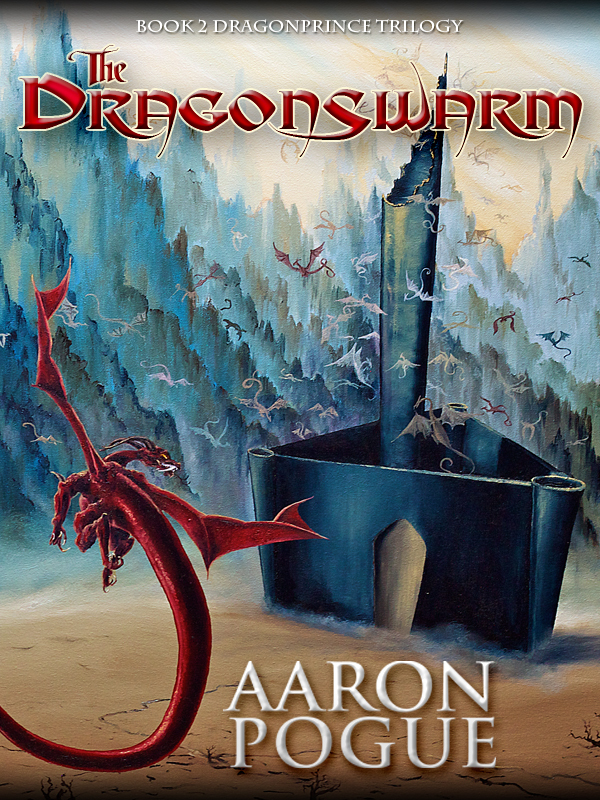 In keeping with this, ’tis my pleasure to recommend to you the Kickstarter campaign for author Aaron Pogue’s The Dragonprince’s Heir (Book 3 in The Dragonprince Trilogy). Kickstarter is a fundraising platform for creative projects. If a project meets its fundraising goal within the allotted time, then the project is fully funded. If a project doesn’t meet its goal, then none of the donors are charged for the amount they pledged. Each donation amount has a reward attached to it. For instance, if you pledge $20.00 toward Pogue’s The Dragonprince’s Heir, you’ll get digital copies of the entire Dragonprince Trilogy, as well as Pogue’s dragonswarm short stories. 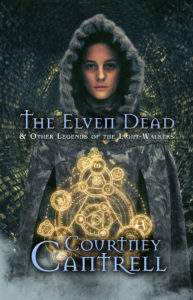 Pledge $55.00, and you get a signed paperback copy of the trilogy as an omnibus edition. A pledge of $250.00 garners you a visit to The Consortium offices and an afternoon of picking Aaron Pogue’s brain. And so forth. But, alas, no one gets any of these nice things if Aaron’s project doesn’t get fully funded by Thursday, June 21, 2012. The funding goal is $30,000.00. There are nine days left. Why $30,000.00 for the publication of one novel? 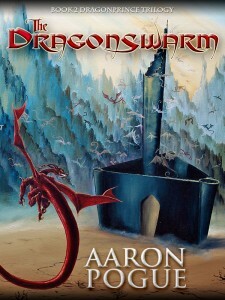 Because once the $30,000.00 goal is met, Aaron intends to release the novel into the public domain. Any money the book earns beyond that will belong to The Consortium and to its artists — who, if you recall, are making more beautiful things for you. Once again, everybody wins. To see the rest of the rewards and to read the full story behind all of this, visit Aaron’s Kickstarter page. The hows and whys of donating are all there and easy to follow. Support this artist to support the arts!